Mussorie - My best ever economical trip day 1 - Ghumakkar - Inspiring travel experiences. Once upon a time :) , when a Ghumakkar inside me was recently born and it was creeping continuously to go somewhere without any reason to go to particular place. So I decided a reason to go. I told my husband that lets celebrate my birthday at some new place. Don’t buy any gifts for me, no candle light dinner, just a small economical trip to get a change from a routine life of Delhi. So today I am here to share my best and economical trip. 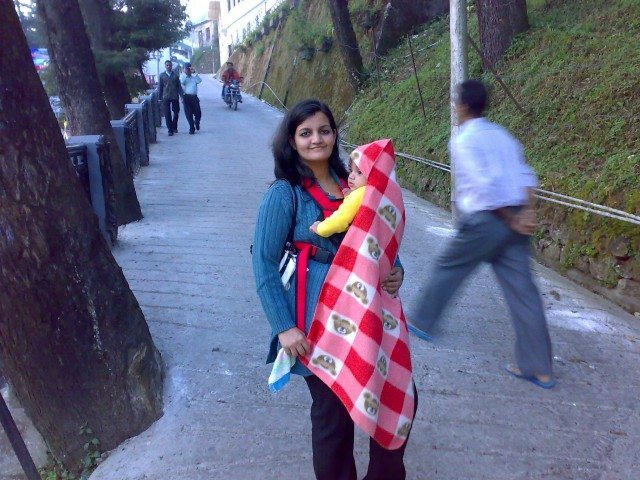 We went to Mussorie in the year 2008, October. After doing a lot of research on Google, checking with few friends, I planned a two days trip to Mussorie. On Saturday Morning at 0500 we called a private taxi to drop us to New Delhi station from where we had to catch our train .We had booked our tickets in 12017 New Delhi – Dehradun Shatabdi Express from Delhi to Dehradun in chair car. I should confess this here for both of us other than our flight experiences, this was the first experience where we had to travel in a train where food is served in train and is included in train fare. We reached station at 0600 hrs and departure time of train was 0650 hrs. Sharp 0650 hrs train started and we have taken our GOD name to bless us with a safe and happy journey. At 0730 hrs the catering staff first brought tea for us. And around 0900 we were served with hot breakfast. We were very happy and enjoying our journey. At around 1130 soup came and then lunch. In all what I remember about that journey was just food, food and food. At 1240 hrs train reached Dehradun. We came out of Station and saw shared taxi stand for Mussorie. Initially we thought of taking independent taxi, but then our budget was ticking in our mind so we moved to shared taxis. Two of us with my 09 month son and another couple had shared ambassador car taxi for Mussorie.1300 hrs taxi started and we were passing by all the roads of Dehradun with air and noise pollution, dust and extremely hot weather. Slowly -2 city limit was coming to end and we started going on a hilly road with lots of turns. On every turn we were falling on each other. Evverytime we were double checking the car door locks. After reaching at particular point where there were less turns we started noticing the scene outside the taxi. The temperature now was little cooler with greenery all over the hills. While doing Google search I read somewhere the altitude of Mussorie is 6000ft. We were really not sure what 6000 ft actually means, so after every 10-15 minutes we used to think Mussorie has come. But we were still not at Mussorie. Then at one particular point we saw a board Mussorie welcomes you and after sometime we reached at a place where there was number of taxi and it was the last point i.e. Mussorie. Weather was now little cold. We had covered our son with sweater and shawl and got down from taxi. We asked for the route to our hotel and a taxi person guided us to a staircase and then to the road. We paid charges to Taxi and was carrying our luggage. Then a Guy came and offered us to carry our luggage till Hotel and will charge us Rs. 100/-.We hired him not really to carry our luggage, but at least he will take us directly to Hotel. 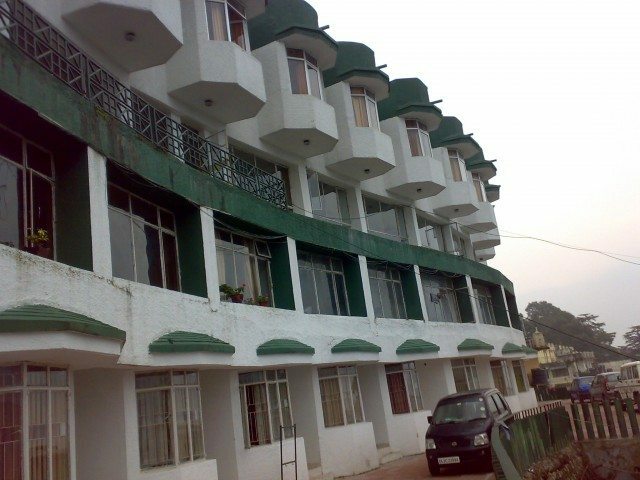 After climbing staircase and then walking for almost 15 minutes we reached at our Hotel “Hotel Garhwal Terrace” (Phone number 0135 -2632682)managed by GMVN (Garhwal Mandal Vikas Nigam) where we had done our room booking (Deluxe room) using online service. The room was in lower ground floor on Mall road side and ground floor on other side. The room was not at all in a maintained condition. There was double bed, TV, chair, table, lights and no fan. Bathroom was big, clean with hot water facility but tiles were very old fashioned and complete room was asking for a renovation. Due to temperature of a place there was dampness in few places at the room. As we had to spend just a day and as it was a budget trip we said to each other “we will manage”. Then we saw another door on the rear side. We opened that door and we were on a garden side of Hotel with a wonderful view of Doon valley. So, location wise this room is just perfect, but do not expect good food and good maintenance in this hotel. If at all you are choosing this hotel for your stay then choose top floors. We clicked few photos and came back to room to take rest as both of us were very tired. Around 1700 hrs we had ordered tea from room service. When we saw room service menu we saw charges were very high and decided to have dinner outside only. At around 1800 hrs we came out to roam around the area. As our hotel was at Mall Road only, we started walking on Mall road. Mall Road is full of Hotels, Restaurants, old structures and local shops. 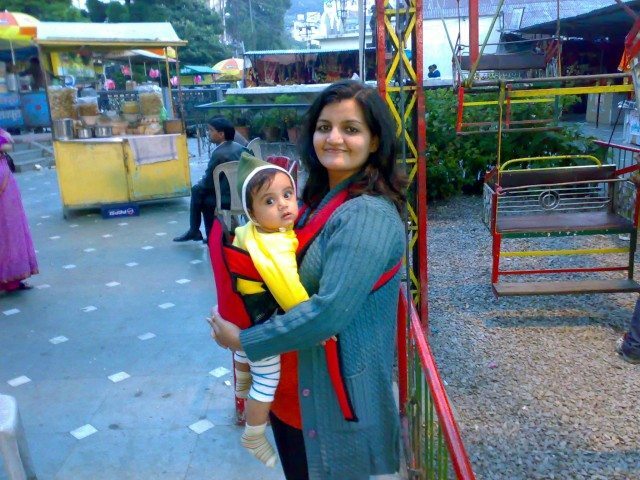 One best thing about Mussorie Mall road is that Children Prams are available here on rent (Rs.100/- hour). Thus couple with small kids can easily rent a pram and can walk on the Mall road at their leisure. On our way we came across place named as Jhula Ghar which has a giant wheel, eateries and photo shops where one can wear the traditional dresses and get their picture clicked. We also came across trekking path that leads to Gun Hill. It is a bridle path which forks off from the Mall road near Kutchery and takes twenty minutes. 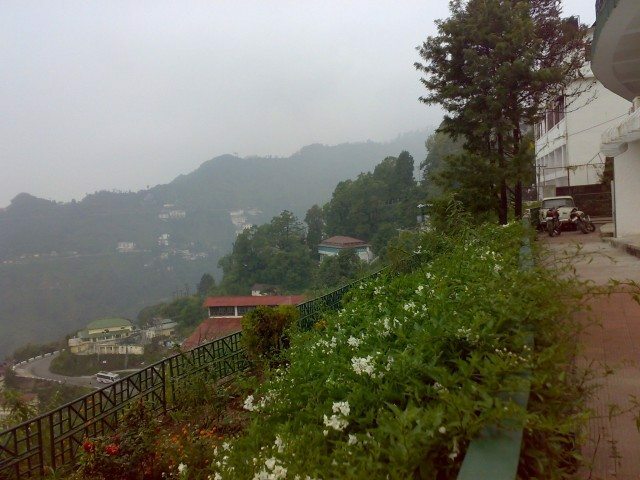 There are number of walks around Mussorie which provide the best of nature and tranquility. Camel’s Back Road – Starting from Library Bazaar and terminates at Kulri Bazaar,Rink Hall and the Mall. Cloverville Road – Starting from the Library,Gandhi Chowk,L.B.S National Academy till Municipal Garden. Tehri Road – This starts from Mullinagar,Landour to Woodstock school. 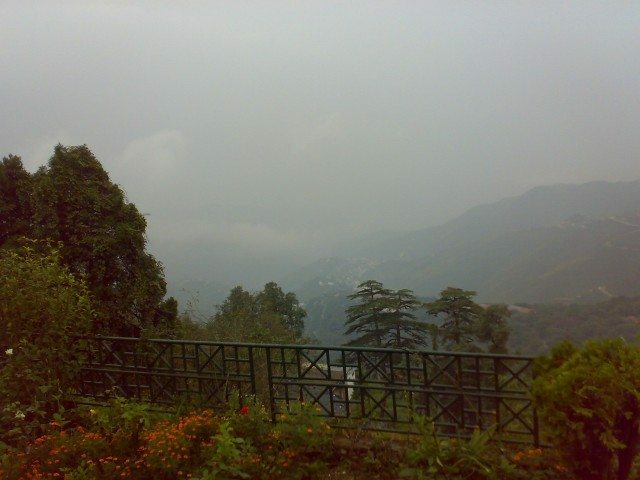 Sister Bazaar Road – This starts from the St. Paul’s Church,Landour Cantt, till sister bazaar and lal tibba. Spring Road – Starting from Library Bazaar /Gandhi Chowk, going past incent Hill,Municipal Garden and Gandhi Chowk. We went to Camel’s back road. Camel’s back road is a 3 kms long stretch from Kulri Bazaar to Library Chow getting its name from the rock which is in the shape of a camel’s hump. 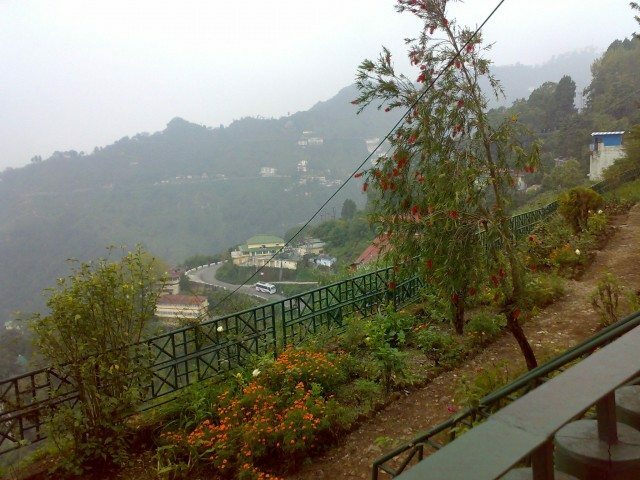 On this road one can enjoy the vast treasure of nature and the tranquil surroundings that Mussoorie offers. Horse riding is also available on this road One side of the road has few shops and restaurants and from the other side we can get the fascinating view of Doon Valley sparkling with lights after sunset. We finished walking on camel’s back road and returning to Hotel. On our way back we came across Jawahar Aquarium. It was a new attraction at Mussorie and entry fee for this aquarium is just Rs 10/-. 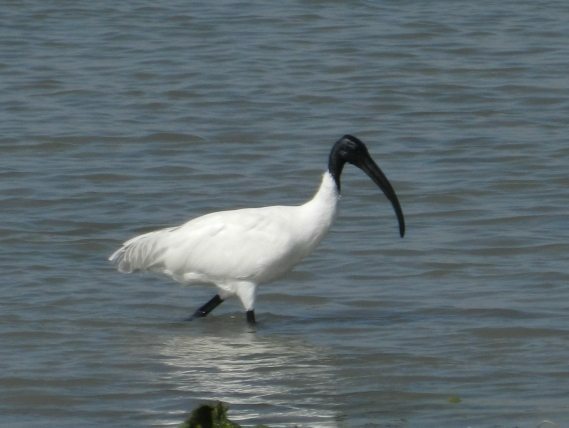 We went inside the aquarium, saw beautiful fishes , spend around half an hour and came out .Timings for this aquarium is 0900 hrs – 2100 hrs. We then had dinner at one of the Chinese restaurant and came back to room at around 2130 hrs. This finishes our day 1. 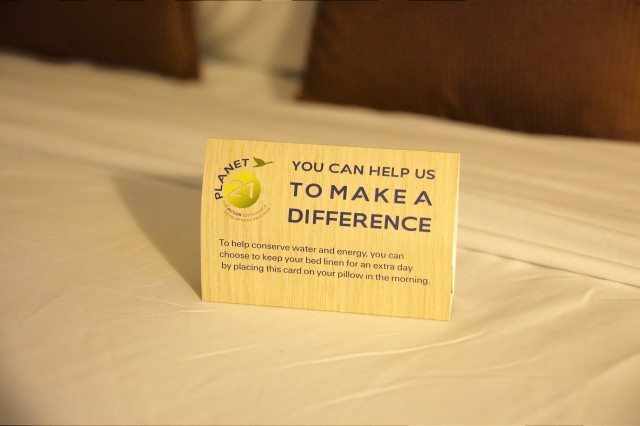 If you are visiting Hotel, you can always ask not to change your room linen every day , thus saving energy and water. Very well described and equally supported by beautiful pictures. Location wise Garhwal Mandal hotel is one of the best choice , hotels on Mall road is very expensive. Mussoorie is like a second home for me as I belongs to Dehradun, during childhood time we use to visit Mussoorie almost every sunday. Yes, location wise this hotel is really good. Wow! You made me revisit Mussorie. All the photos are Sharp and beautiful . Story reminds me my budget trip to Mussoorie and Rishikesh with my family in year 2009. Most of the KMVN and GMVN hotels have excellent location but in my personal experiences, I have found them less hospitable. UK can do wonders if they invest more in tourism infra, the hotels being an important link. The photos are bright and happy :-). I am guessing that you are not around since I do not a comment by you. Very rightly said about ShatabdiRajdhani food. Hotel locations are really good but all Hotels really needs maintenance and training. Bonne chance pour DELF, Mme Abhee. Lovely post, especially the pics. Looks like it was a whirlwind trip. Your description of the ride on the Rajdhani Express, the taxi ride and the GMVN hotel room is very detailed and the tip about opting for the upper floors of the is really useful. You called it an “economical trip”, so I hope that you will give us an idea about the size of your budget since what is economical for some might be very expensive for someone else! Regarding the green tip this time, all I can say is that in India, unless one stays in a 5 star hotel, the chances of the bed linen being changed even once a week is highly remote. Often we are forced to ask the hotel staff to provide us with cleaner sheets and towels when we check-in. Yes sir, detailed cost breakdown coming in next post scheduled for tomorrow. This green tip is mostly useful for 5 star hotels where lot of energy are consumed for washing. A very nice detailed post. Wonderful photographs. I have also visited there 4-5 times as for the Delhi people Nainital & Mussorie are the best place for visit & to see the natural beauty. Hope you have also visited Dhanaulti. Thanks a lot for liking the post. ‘am in love with Mussoorie since my bike tour nearly a decade ago and since then I visited the place many many times and once we went together by bike just after our marriage…it was another sweet story, if time permits may be I will share with you all. Thanks Amitava for liking the post.Mussorie is really very beautiful place. I Know time flies so fast. 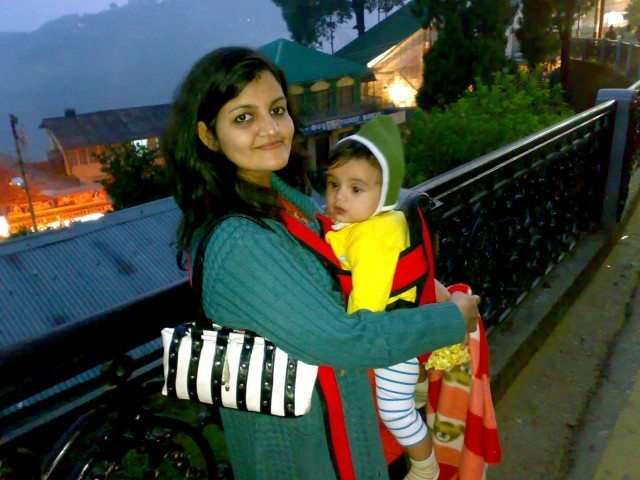 I have also been to Mussoorie in July 2012 to celebrate birthday of my wife and we stayed in same hotel. I found the rooms in good condition, it might have renovated. View of Doon valley is amazing from the hotel specially in Monsoons when we visited. Thank u for liking the post and posting comment.Please do visit Mussoorie, its a beautiful place.If you have time then plz chk second part of this trip details also.it will give you more information on mussorie and nearby points. Contrarily once we reached near the shrine premise, we were glad to see that despite of innumerable devotees there was no chaos and seemed that excellent care has been taken to maintain the sanctity in a well managed way. Far from the entry, cloak rooms with numbered bags are kept in trolleys which can be used to keep off the shoes of the entire group together and deposit it in queue by any one person and obtain a token for free. The valuables like mobiles, cameras etc can also be deposited in another such cloak room adjacent to the shoe stand. It is better to keep the cameras, mobiles & other valuables back in your hotel to avoid delays at depositories. A team of well mannered security staffs are always ready to guide you amicably for entering into the shrine. Different check points for ladies and gents are equipped with metal detectors and scanners in ‘working condition’ besides physical checking but without hassle. In no time we entered through the giant gate inside the premise and were soon lucky to catch the Shayan Arti at 8.30 pm. The divinity and magnificence of the deity left us in awe and nostalgic. The glittering glossy idol, laden with gold and gems and ornamented with a tilted crown touched the heart immensely and deep immersed the soul in an ocean of sanctum satisfaction with fulfillment. It is perhaps because Lord Krishna is worshiped here as the emperor of Dwarka. The Shayan Arti is performed for 5 minutes only but the rhythmic devotional vibrations lasted till long after. Similarly the divine darshan of the lord continued captured back on memory in persistence of vision.